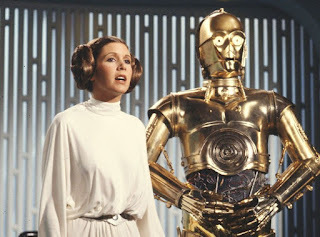 The “Star Wars” franchise has had quite the history of different movies, specials and TV shows … most great, some less great, and among everything in the entire collection of “Star Wars” is … this fascinating catastrophe of a TV special. There is no doubt that the 1978 TV movie simply titled “The Star Wars Holiday Special” is the strangest, and most unnecessary addition to the saga. 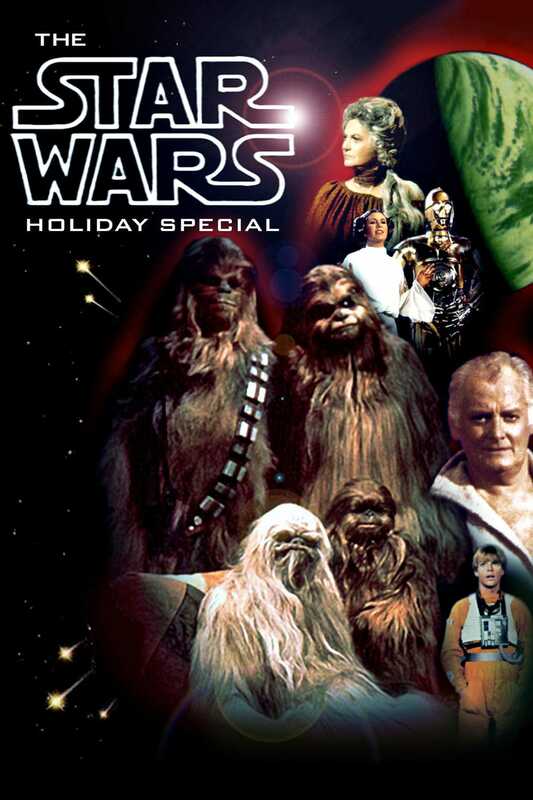 That’s right, of all the great franchises out there, you’d think that “Star Wars” would be the last one to have a holiday special. It doesn't even sound real, sounds more like a parody, but I can assure you it’s a genuine entry in the “Star Wars” saga, and is even in cannon with the series. This film aired on CBS a full year after “Star Wars: A New Hope” and two years before “The Empire Strikes Back”, so the story (or some semblance thereof) is set between the two films. It’s marketed as a Christmas special, but it really has nothing to do with Christmas, and the special focuses on a made-up Star Wars holiday called Life Day. So, what’s the story behind this holiday … um, funny enough, the special forgets to talk about it. No joke, while the so called “Life Day” is mentioned in passing, there’s little to no talk about its ancestry, no morals are connected with it, and it makes the special feel all the more pointless. There’s no sense beating around the bush, its one of the worst things under the “Star Wars” banner, we all know that, but it’s also a fascinating special to analyze and critique. So, what happens in this so-called Christmas/holiday special? Well, it has a run time of 1 hr. 37 min. and it’s all spent watching a family of Wookies, and more specifically Chewbacca's family doing things at home. 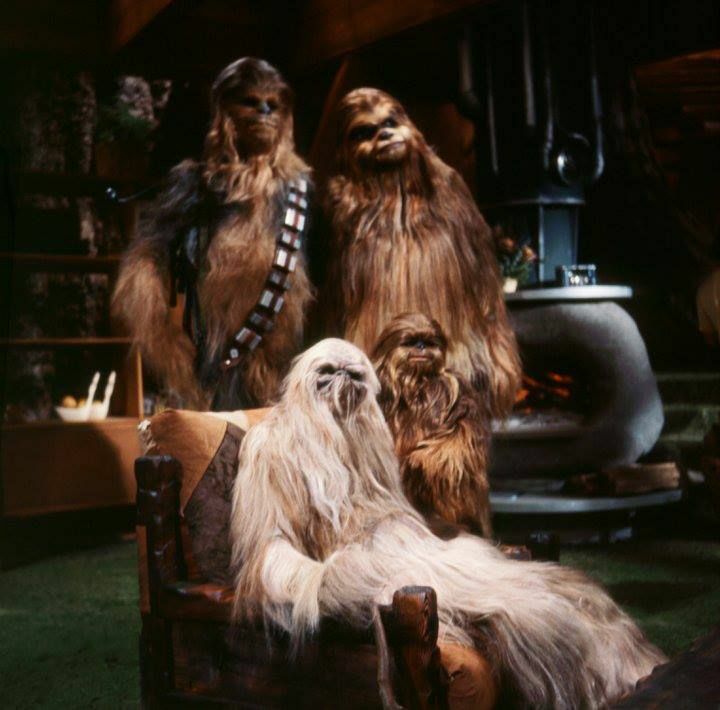 I kid you not … this entire special is spent observing Chewbacca’s son, wife and father doing things at home like cooking, jumping around and watching TV. 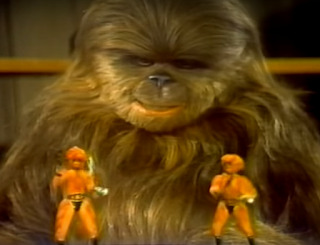 Okay, to be more specific, this Holiday special is a variety show comprised of musical numbers, comedy sketches, appearances from the main cast, cartoon shorts and Chewbacca's family … for whatever reason … ties them all together. I suppose this idea could have had some potential, but putting the focus on Chewbacca’s family was its first mistake. Their constant growls and screeches are nothing short of ear bleeding, but even worse … we have no clue what they’re even saying. No subtitles, no translator droids, just nothing to get information across. I’m honestly more confused than anything else, like, who’s ridiculous idea was it to make the hosts of a special these creatures that can’t even speak? Well, even if we did have a proper host, the variety of “entertainment” on display is still atrocious. 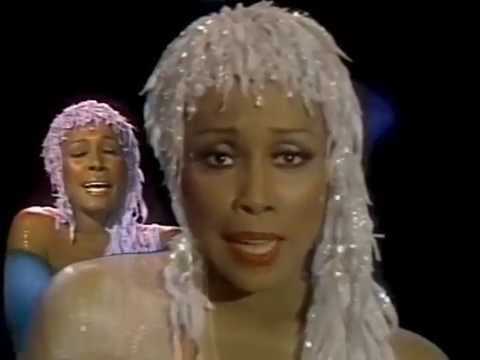 We have a goofy alien circus performance, there’s a cringy Diane Carol solo song set in a warped Wookie dream zone, a painfully long Jefferson Starship music video, and there’s an upbeat party number in the alien Cantina on Tatooine. Actually, the song in the cantina might just be one of the more credible parts, but mostly because of Beatrice Arthur’s insanely committed performance as the bar tender. 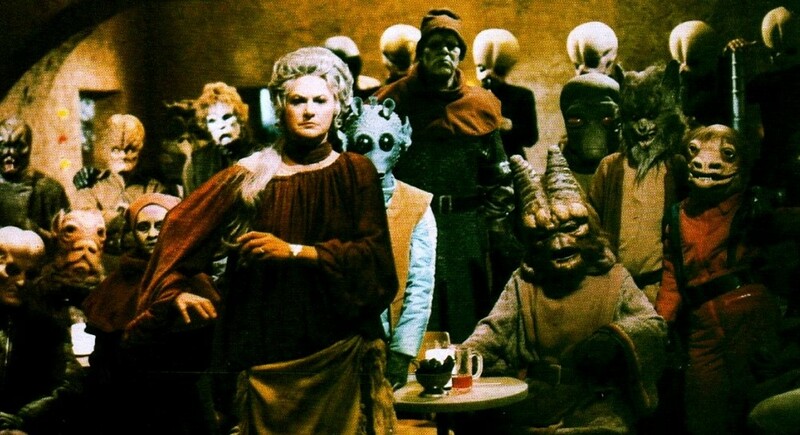 Truthfully, I think the cantina setting should have been the holdover location and Beatrice Arthur should have served as our host. While it has less than half the budget of the movie, it at least features some familiar aliens (including the Greedo costume), it’s an upbeat location and it’s surprisingly the only point in the film I feel I’m watching a holiday special of any sort. Also, Diane Carol’s song in the warp zone falls into the category of so bad it’s extraordinary. Now obviously, none of the songs are good, but there at least passable when compared to the comedy sketches … oh boy. Poor Harvey Korman was a great comedic talent, but all his charm is wasted on these painfully dumb sketches, including a silly cooking show, and an ungodly boring scene of him as a malfunctioning droid going through an instruction manual. Art Carney also makes a number of appearances, and while he doesn’t add much to the special, I feel he’s at least trying to be a charming presence. Now typically a “Star Wars” special or spinoff will have one or maybe two actors back as classic characters from the movies, but in the case of this special … it features the entire cast. 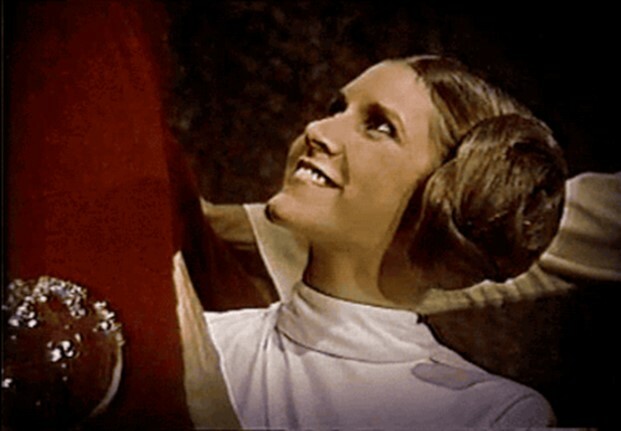 That’s right, Harrison Ford is back as Han Solo, Carrie Fisher is back as Princess Leia, Mark Hamill returns as Luck Skywalker, Peter Mayhew is back as Chewbacca, Anthony Daniels is back as C-3PO, and the only cast change is R2-D2, who has been replaced by a cheap remote-control version. This is why I gave this special a single viewing in my lifetime, and it really is kind of a novelty. 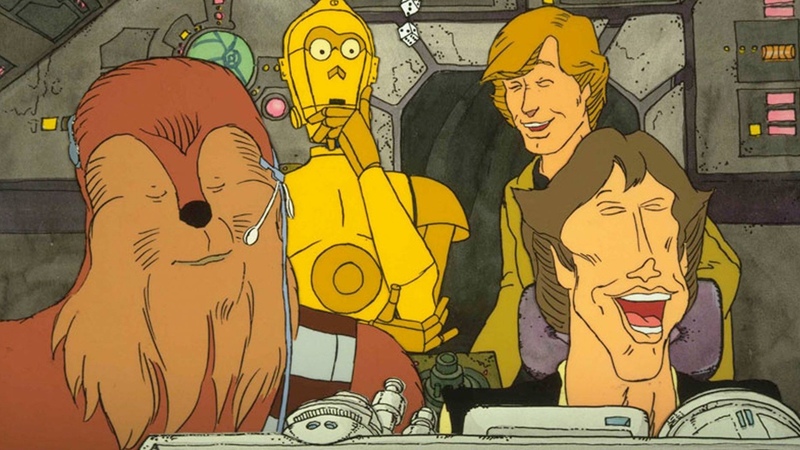 No other Star Wars spin-offs or specials came out during the time of the original trilogy, so it’s an honest treat to look back on something extra that features the original cast while their all still in the prime of their youths. 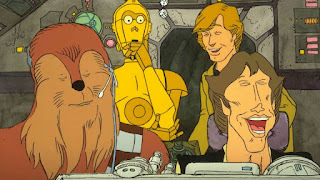 One of the best scenes is the very opening, in which we see Han and Chewbacca on the bridge of the Falcon, and making witty banter while evading Empyreal Star Destroyers. It’s a special moment that makes you feel like your watching an original Star Wars movie you never knew about. Unfortunately, things get worse with every passing minuet of the special, and the appearances from the main cast even get a little cringe. 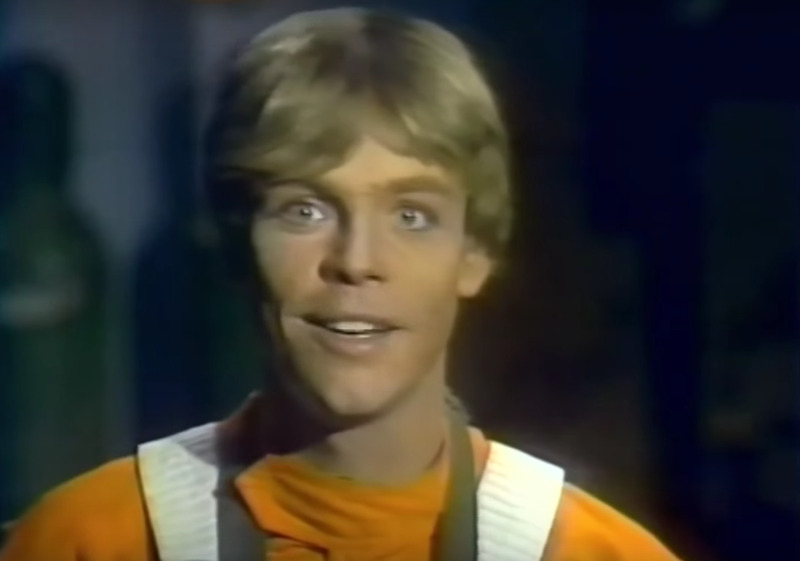 Luke Skywalker for whatever reason always talks directly into the camera, and looks like a store manikin. The cast really isn’t putting much commitment into their roles, as if they know they’re in a bad film, and can’t waist an ounce of talent on it. 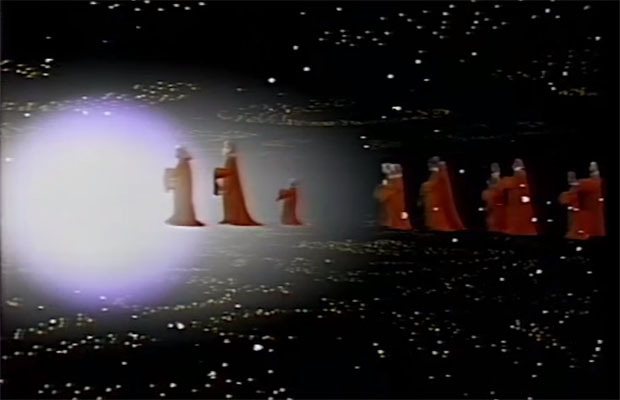 There’s also a lot of stock footage lifted right from “Star Wars: A New Hope”. Whenever the Millenium Falcon is battling Ti-Fitters or getting chased by star destroyers, it’s all just recycled footage from the first movie. Sadly, these are actually the more credible parts. Even the footage of Darth Vader is recycled from the first film. 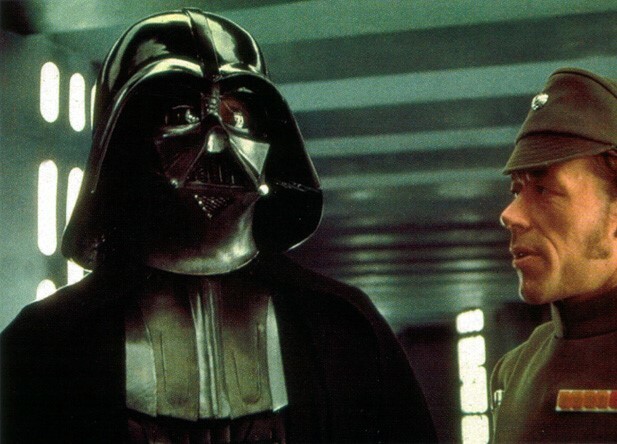 The special takes advantage of a deleted scene with Vader talking to a commander, and dubbing James Earl Jones’s voice over it … isn’t that nice. All joking aside, it is still a treat of have Darth Vader present during this special, and especially with James Earl Jones doing the voice work again. There’s a moment when Storm Troopers invade the Wookie home and for one rare moment you think that something exciting is finally happening. But no, the troopers just hang around in the background watching music videos, and the Empires presence never amounts to anything special. 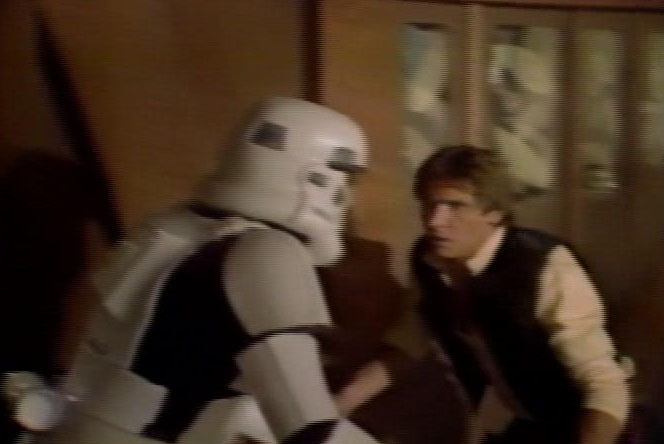 Now there is one very amusing moment when one of the Storm Troopers is defeated by tripping over his own gun, and sure that’s stupid, but I can at least laugh at that. Now we come to the cartoon short that features all our principles characters on a little mini-venture, and the quality of the animation is atrocious. All the designs are off-putting, and even to color scheme is comprised of ugly oranges and dull browns. The one saving grace of this short that makes it the best part of the inter special is the introduction of the masked bounty hunter Boba Fett. This was his very first appearance in the entire franchise, and to date, it’s still my favorite of all his appearances in the series. 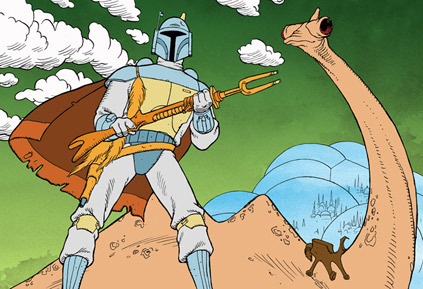 Yes, I’m one of those guys who thinks Boba Fett is awesome, despite not doing much in the films. Well, in this cartoon, he’s finally doing something more than hang in the background, he’s interacting with our heroes and trying to win their trust. Naturally he’s on a mission from Darth Vader to seek out their hidden base, but Chewbacca, R2-D2 and C-3PO discover his true intentions before they take him. A very simple premise, but it’s such a treat to finally see this character take center stage and really steal the show with his signature cool factor. 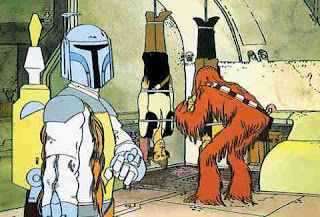 I especially love that in this cartoon, Darth Vader refers to him as the best bounty hunter in the galaxy, which further illustrates that even he has respect for Boba. Voice actor Don Francks brings Boba Fett to life in this short, and he has one of the coolest, laid back, sinister villain voices I've ever heard. Don Francks would continue to voice Boba Fett in the 80’s cartoon “Star Wars Droids”, and truthfully, I think he’s my favorite actor to portray this iconic Star Wars villain. 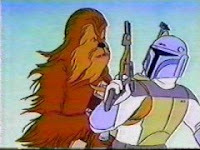 So, for as bad as this Holiday special is, Boba Fett is still awesome in this cartoon, but it’s just not worth sitting through everything else to get to him. 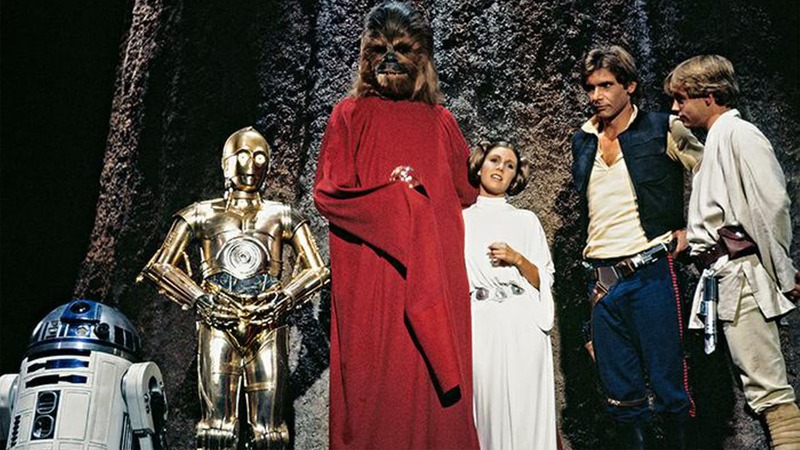 The Special ends with all the characters getting together at some Life Day cave, and more Wookies arrive by walking in from outer space … I really don’t what to say about that other than, “WHAT THE HECK?”. 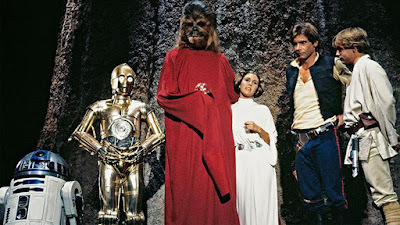 The Wookies all dress in red robes, and just when you thought things couldn’t get any stupider, Princes Leia sings this lame Life Day song ... bleah! 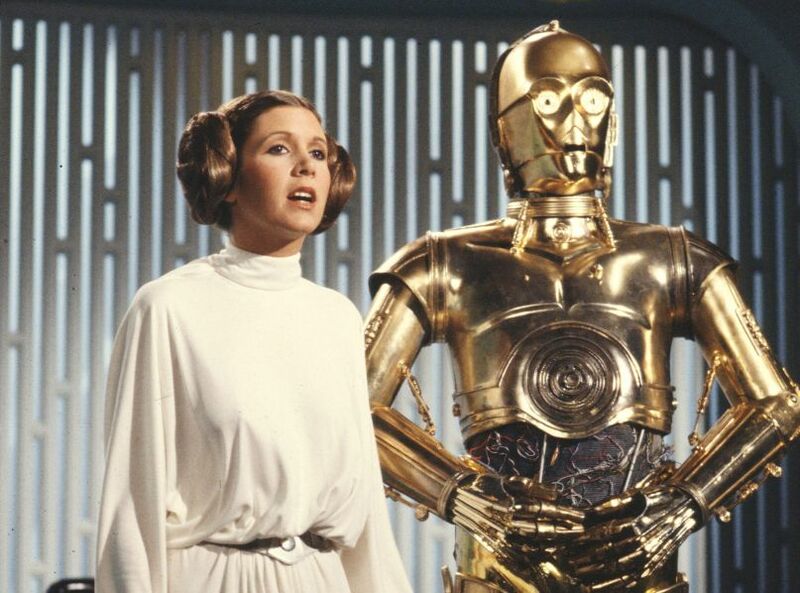 In truth, Carrie Fisher actually has a fine singing voice, it’s just a really bland song. 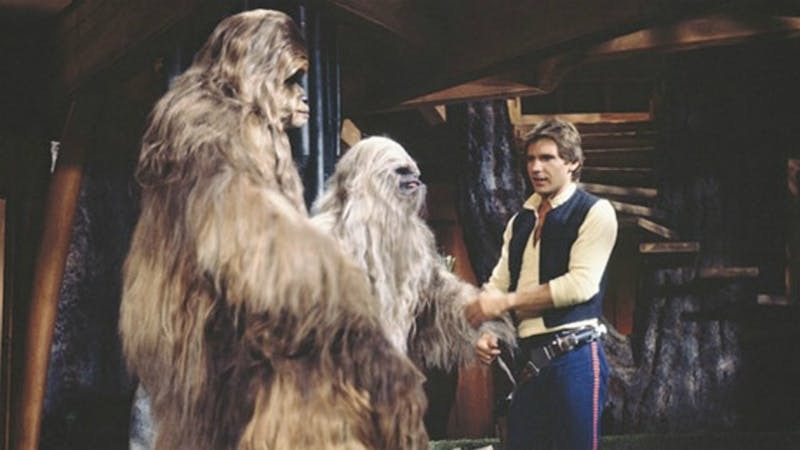 Then to finish everything, Chewbacca begins to have nostalgic flashbacks on the events of the first film, which really makes you wish you were just watching "Star Wars 4: A New Hope" again. I mean, clip shows are perfectly good movie clichés, but they need to come from lead characters and better films then this. Overall, there really isn’t any anger coming from me while discussing this Star Wars special, as I’m far more confused and bewildered that such an absurd and pointless thing like this could possibly exists. Don’t get me wrong, it’s definitely the worst thing to be released under the Star Wars name and one of the worst things to be created by human hand, but there is still something gratifying about saying I saw it once, and as a die hard Star Wars fan, I just feel complete. There really is no reason to be angry with this special, it only aired once, has never re-aired, and has never been released on home video. So, if anyone watches this, it’s their choice. I’d only recommend this if you’re one of the purist of fans that has to watch everything under the Star Wars banner. Yet, even to that extent, I’d only recommend watching this special from a distance, and make sure you’re doing something productive like ironing cloths or cooking dinner. 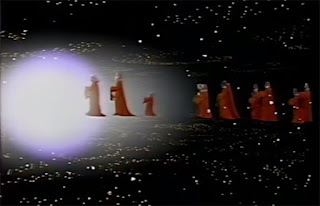 It’s a terrible special, plain and simple, but it has a place in the Star Wars history books, and for some, it might just be worth seeing if only to believe it actually happened. I give “The Star Wars Holiday Special” 1 star out of 5, and that’s probably more than it deserves. Well, that was bad, but there are more Christmas specials to be reviewed this season on my site, and the next one is going to be a really good one.